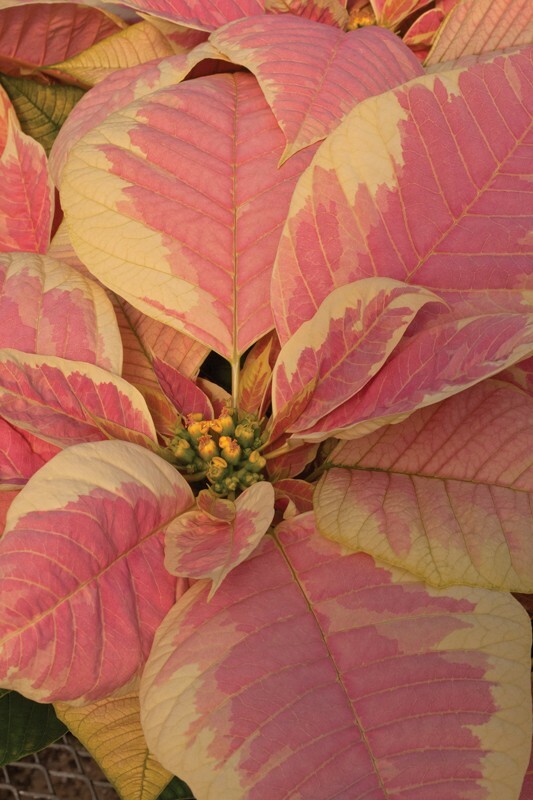 In 1828, Joel Roberts Poinsett thought he was on to something new and nice. 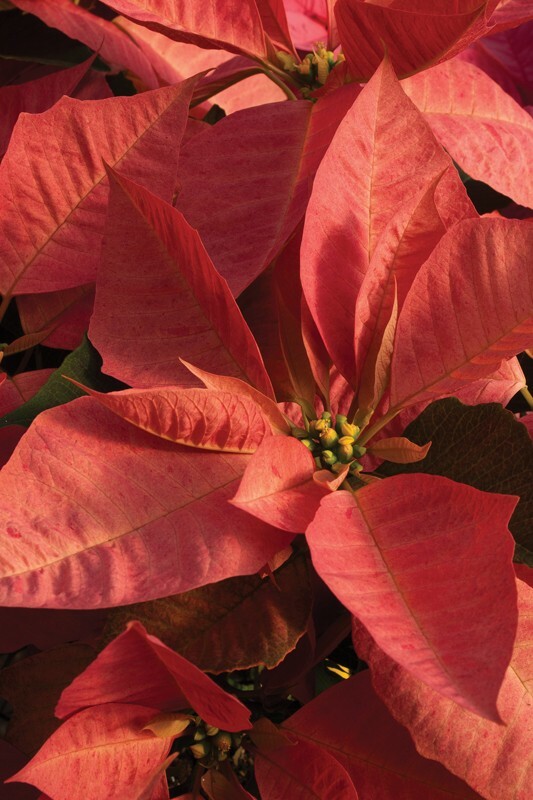 After returning from his post as ambassador to Mexico, he captivated his friends in Charleston, S.C., with a flashy, strange-yet-pretty plant that was native to Central America. 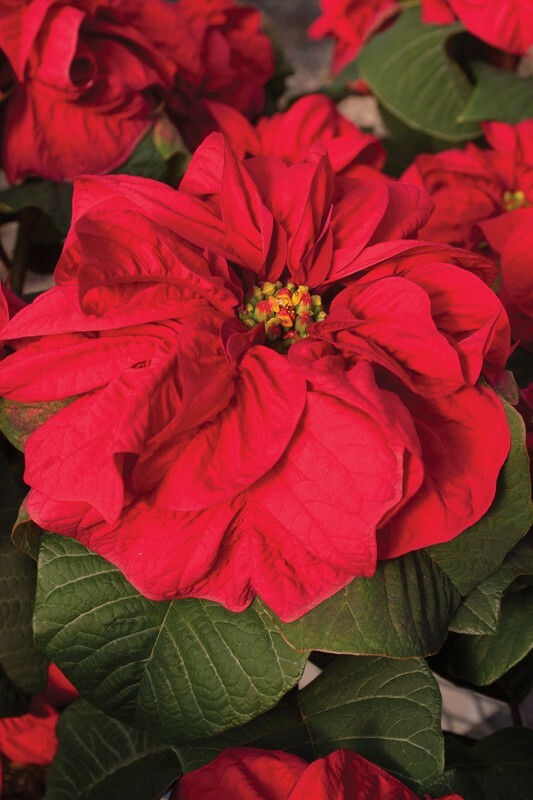 This imported dazzler was what is now known as the poinsettia, and its cheerful bright red and rich green colors made it a natural to become a living Christmas decoration. 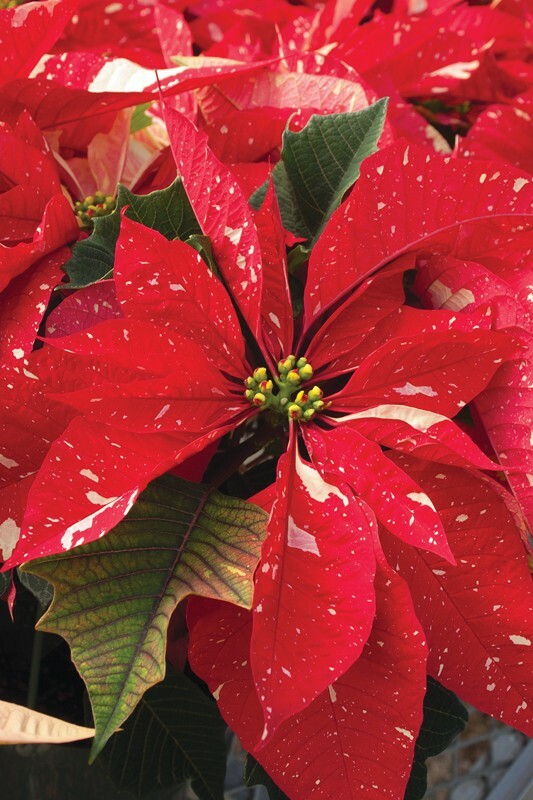 The poinsettia’s popularity became a Yuletide constant, resulting in the plant itself evolving. 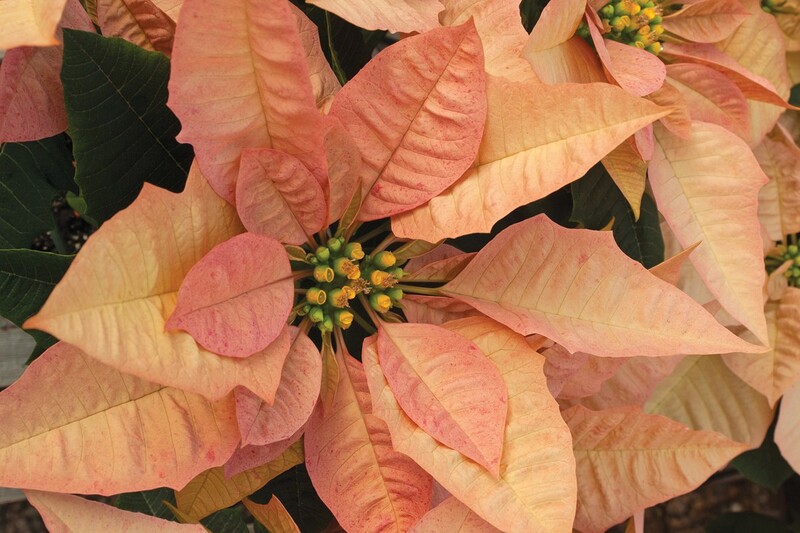 With intense interest in the nursery trade to find the next “new,” selections with bracts dolled up in other colors have been joining the holiday party. 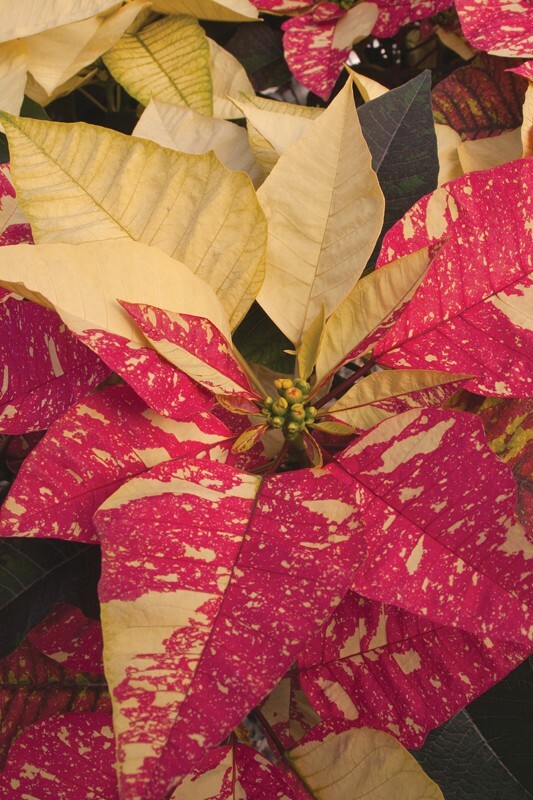 Off-white, pink, burgundy, soft yellow, light purple — these are the latest hues to be added to the poinsettia parade, along with variegated beauties streaked, splattered or sprayed in tantalizing combinations of tints. 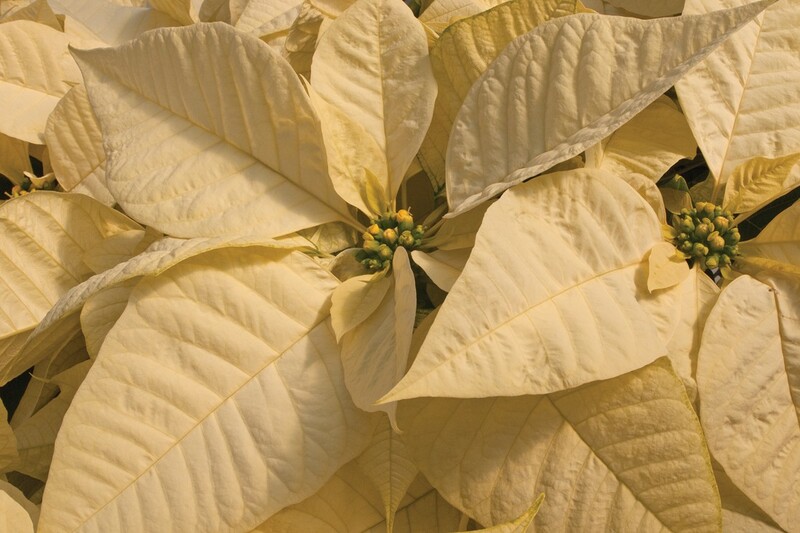 Even the structure of the bracts didn’t escape plant breeders’ attention, as “leaf flowers” sporting wavy surfaces and inward, reflexed curves have also been introduced. 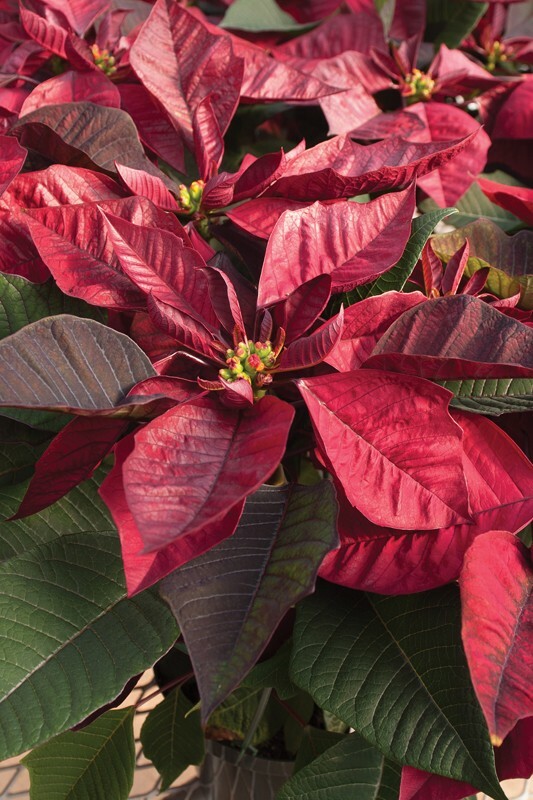 Although the traditional poinsettia has morphed into a plant of many new looks, its ability to spread the joy of the holiday season is still unwavering. 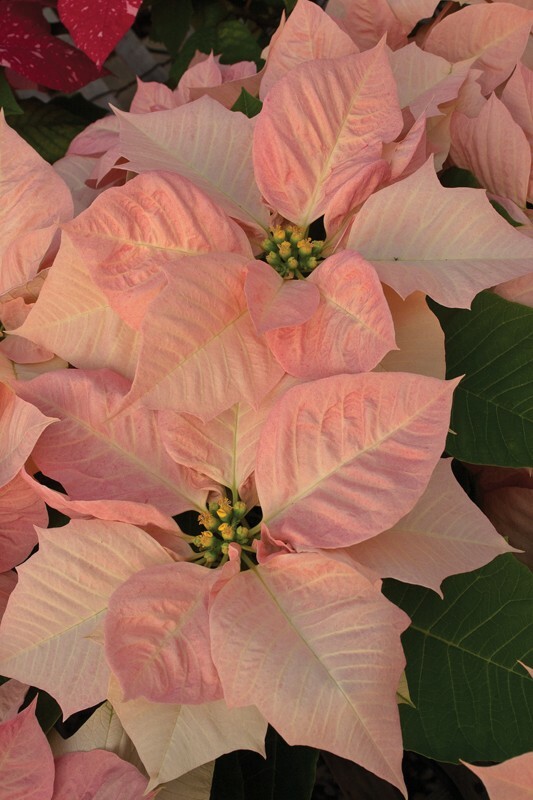 In short, Joel Roberts Poinsett was right. 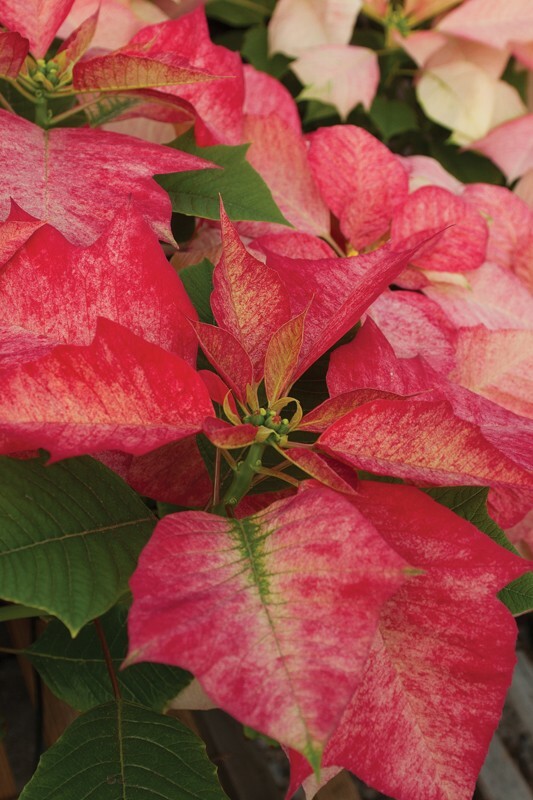 I really enjoyed reading your article about the poinsettias and their gorgeous photos! 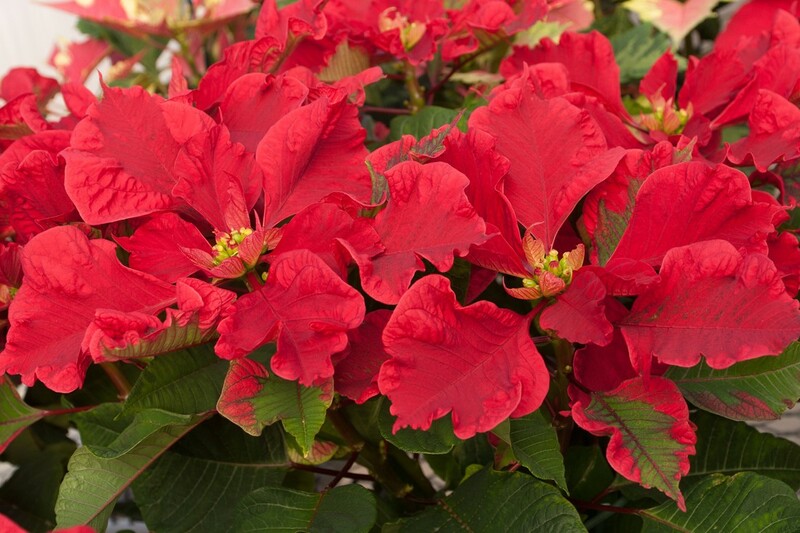 Some of the ones I like are Marco Polo, Visions of Grandeur, and Carousel Red poinsettias. 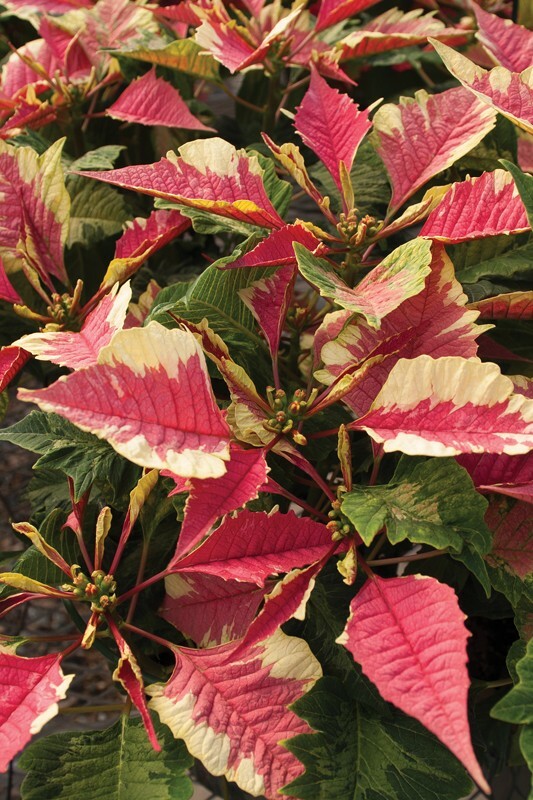 Would you tell me the garden nurseries that carry these plants? 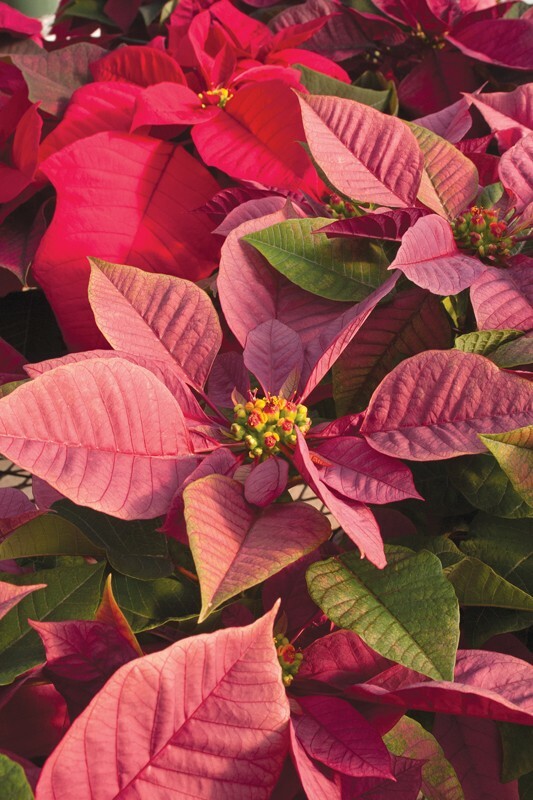 With the 2018 Christmas season had passed, these poinsettias may not be for sale at this time so I hope to see them again later this year. They surely make a wonderful gift. 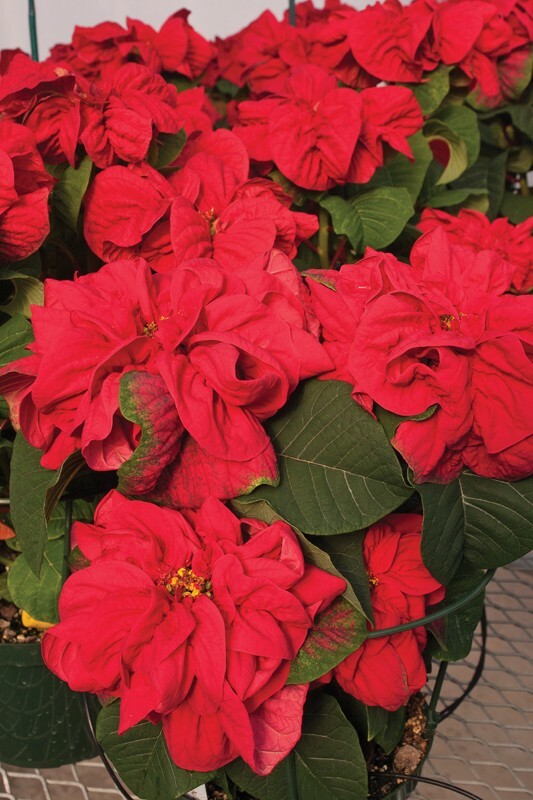 Those bits of holiday eye candy were shot at the JC Raulston Arboretum’s annual Poinsettia Open House, which Homewood Nursery (www.homewoodnursery.com) in Raleigh is a big part of, so I would definitely give them a shout. 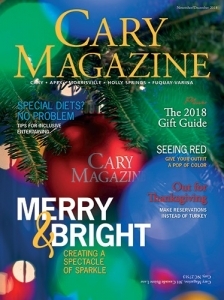 Also, I have found Fairview Garden Center (fairviewgardencenter.com), located just south of Cary on Holly Springs Road, to be brimming with many different poinsettia selections during the Yuletide season, so they would be worth contacting, too.